This ADA approved, barrier free acrylic shower base with a left hand drain and bulit in accessibility ramp by Valley Acrylic is made of the highest quality high gloss acrylic. It is also the perfect option for anyone with mobility issues of any kind. All of Valley Acrylic's Signature Series products are manufactured in Mission, British Columbia, hence guaranteeing that these products are 100% made in Canada, and meets the excellent quality standards that are required by Canadian companies. 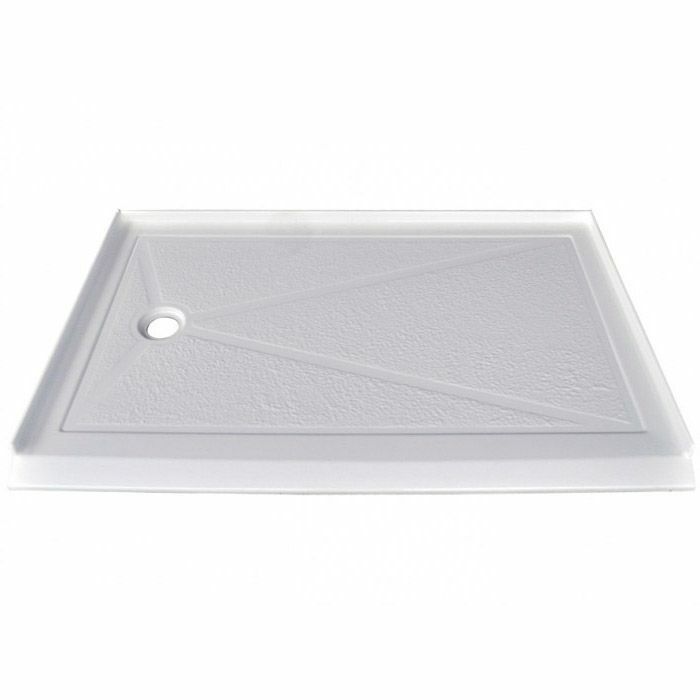 Serene 60X36 Left drain Barrier free Shower base This ADA approved, barrier free acrylic shower base with a left hand drain and bulit in accessibility ramp by Valley Acrylic is made of the highest quality high gloss acrylic. It is also the perfect option for anyone with mobility issues of any kind. All of Valley Acrylic's Signature Series products are manufactured in Mission, British Columbia, hence guaranteeing that these products are 100% made in Canada, and meets the excellent quality standards that are required by Canadian companies.